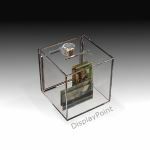 DisplayPoint designs and manufacturers point of purchase displays with a high attention to detail and a continual focus on quality. We place a paramount importance on complete client satisfaction. Our team is diverse and energetic with over 25 years of collective design, manufacturing, and project management experience. Let us work with you to completely understand all your needs and objectives. Together, we will transform concepts into profitable solutions that will satisfy both your budget and schedule. Our production facilities are ready to roll out your project from prototype to full scale production in the shortest lead-time. 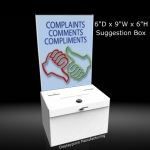 We combine a variety of plastics to create your custom designed display.